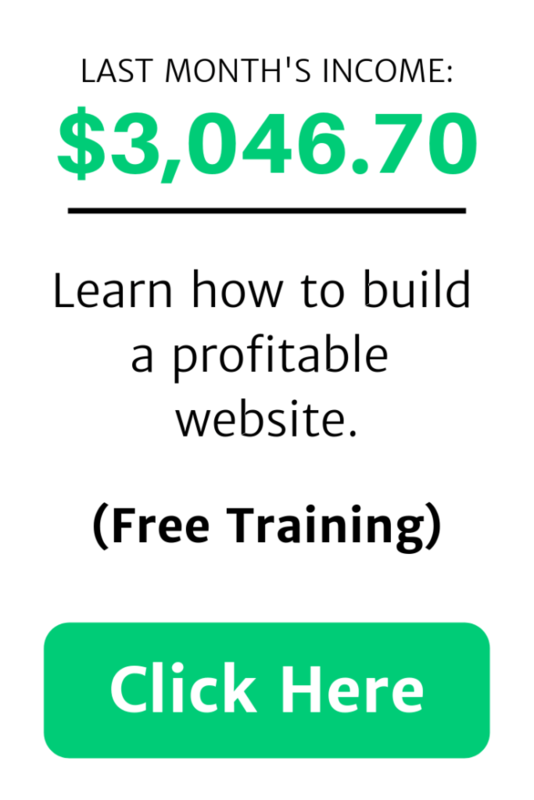 Some people think earning money online is next to impossible, but I’m here to show you that it’s easily possible for ANYONE, whether you have computer skills or not. In fact, there are several completely ethical ways to earn money online without doing any extra work at all. Recently, I was browsing the web like I do all the time, and out of the blue I got paid $1 for a search. Sometimes, I’ll get paid 5 or 10 cents, but never have I been rewarded an entire dollar. How did I do this? Instead of using Google for all my online browsing, I switched over to something called Swagbucks. One of the nice things about Swagbucks is that they have their very own search engine, which is powered by Yahoo – so the search results are pretty decent. Here’s screenshot proof of my $1 reward. Swagbucks will reward their users every so often with a few cents – or in my most recent case, a dollar. The rewards are random, which means it doesn’t matter what you search, so long as you search using the Swagbucks search engine. It also means you won’t be paid for every search you perform, but only a few of them every now and then. Let me give a bit of an introduction to this company…. Swagbucks, which has been around since 2008, has paid out over $100,000,000 to people like me who take advantage of their services. They can afford to do this because they are sharing a percentage of the money they earn through advertising with their users. When you actively use their search engine, they earn money. Since they have millions of users, they can easily afford to pay out millions of dollars. Now, browsing the web is not the only way to earn money with Swagbucks. You can also take paid surveys, complete paid offers, and more. However, I like the paid searches best because it’s passive income. By the way, before I get too far into this, I’ll mention that Swagbucks has their own currency, fittingly called “swag bucks” or “SB” for short. 1 SB is equal to $0.01. How Much Money Can You Expect to Earn from Swagbucks Searches? To give you some perspective, I’ve been a member of Swagbucks for about 6 months now. I haven’t exclusively used Swagbucks for browsing the internet, but I do use it pretty often, at least once per day and oftentimes a lot more. So far, I’ve earned a total of about $15. (I’ve also earned a few dollars doing surveys and a few other things). I don’t know about you, but $30/year for browsing the web seems like a great deal. Especially since it’s something you already do anyway, and is therefore passive income. Like I said earlier, the rewards are random. I did try keeping track of how many searches I did in between getting paid, and I think it was around 20. Results will vary, but in general this number is fairly accurate in my experience. What’s the Most You Can Earn with One Search? I believe the most you can earn with a single search is 200 SB, based on some quick research. I found this Reddit thread with screenshot proof of someone earning 200 SB. Obviously, the highest I’ve earned to date is 100 SB. Before that, my record was 30 SB, which is still quite high. The most common reward is around the 5-10 SB range. Screenshot proof of my previous record, which was 30 SB. Want to Experience Swagbucks Yourself? If you have any interest in joining Swagbucks, make sure to sign up with this link. This is because when you earn your first 300 SB, you and I will both earn an additional 300 SB! You can only earn the bonus if you join through a referral link (like mine). Normally I don’t try to push people to sign up under me, but in the case of Swagbucks, my referrals and I both benefit. If you just sign up at swagbucks.com (a non-referral link), you won’t get the 300 SB bonus when you reach your first 300 SB. For full disclosure, I will also earn 10% of everything my referrals earn for life, but that does not affect you in any way. In other words, there’s literally nothing to lose when you sign up through a referral link, only 300 SB ($3) to gain. Swagbucks is one of my favorite ways to earn a little pocket change online. It’s completely free to join, and the potential to make passive income is there. Although you can’t earn anything substantial with Swagbucks, earning money for things you already do – searching the web for example – seems like a great deal to me. I recently wrote a more in-depth review of Swagbucks, which describes it in much more detail. You can read that review here. Despite the fact that I give Swagbucks high marks, I don’t think it’s nearly the best way to make money online. It’s great for earning a little pocket change every now and then, but it certainly won’t be paying any bills. Have you ever used Swagbucks? What do you think of it? Feel free to leave a comment below, and if you have any questions, don’t hesitate to ask. I have never heard of this before, so thank you for bringing this information to us. I always use google to search and as you mentioned in your posts I am also constantly searching all day long so this passive income could add up. If I am going to be searching anyway this is just free money. I know you mentioned that SwagBucks is connected to Yahoo search, I never use it so I am curious in your opinion if the search capabilities of SwagBucks is good enough to actually use as a regular replacement? That’s a great question, Scott. I personally prefer Google’s search results to Yahoo’s, but I also like earning passive income. So, it’s a close call between the two. I’ve found that Yahoo’s search results seem a little more outdated, but for the most part they are similar to Google’s.